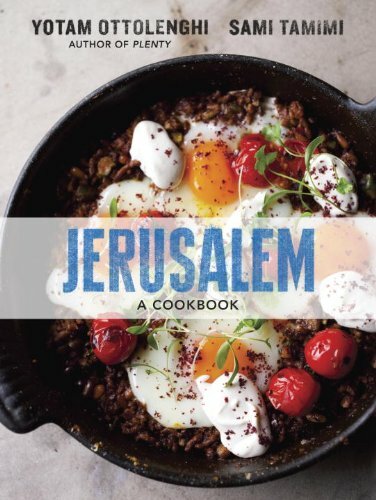 A collection of 120 recipes exploring the flavors of Jerusalem from the�New York Times�bestselling author of�Plenty, one of the most lauded cookbooks of 2011. In Jerusalem, Yotam Ottolenghi and Sami Tamimi explore the vibrant cuisine of their home city�with its diverse Muslim, Jewish, and Christian communities. Both men were born in Jerusalem in the same year�Tamimi on the Arab east side and Ottolenghi in the Jewish west. This stunning cookbook offers 120 recipes from their unique cross-cultural perspective, from inventive vegetable dishes to sweet, rich desserts. With five bustling restaurants in London and two stellar cookbooks, Ottolenghi is one of the most respected chefs in the world; in Jerusalem, he and Tamimi have collaborated to produce their most personal cookbook yet.